ELBG's interior wasn't really a different design though from the Stagecoach one just a different colour like a "counterfeit" version however the seating was different . The flooring was different as well along with the plastic moulds such as the dash & the seats just before the rear on deckers. Looks like Westbourne Park is their registered head office as shown on their website www.transitsystems.com.au/tower-transit-contact-us not long now ! one more week of First bus in London . The registered office is mentioned as Eastbourne Terrace on that site which is at Paddington - the same place where First London is registered. If any management goes with, they have to move so far, to the other side of the road. According to Google maps its a whole 350ft from the old address to the new one. How ever will they cope?! Tower Transit takes 411 buses, also under a new O'Licence (being re-named to Tower Transit Operations Ltd), covering the three garages (AS, LI, X). Initially at least, First's fleet numbers and class codes will continue to be used. The varied fleet comes from classes DM, DMC, DML, DMV, DN, DNH, RM, TN, TNL, VN, VNW, VNZ, WN and WSH. 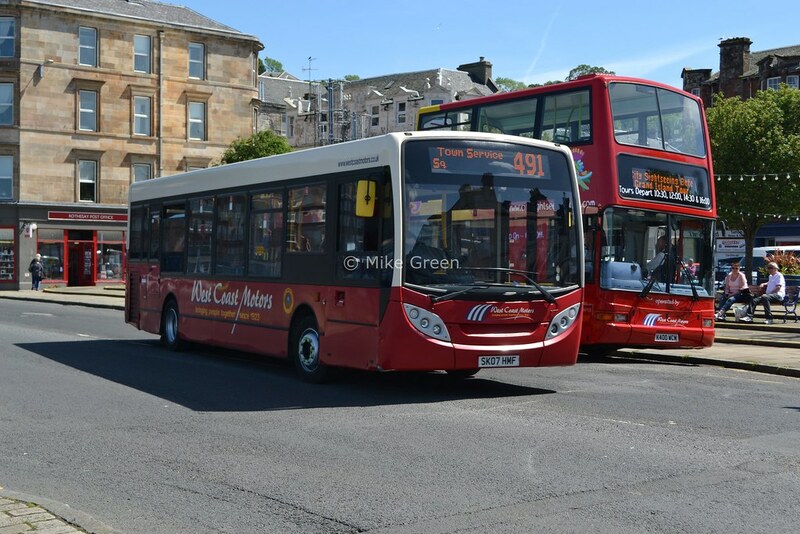 The total includes new DNs for route 425 being taken over in two weeks' time but excludes the two WSHs yet to be delivered. Thats because WNHs are staying with First and have been withdrawn since May 2013. Not quite. They're withdrawn and have gone back to Wrightbus for possible re-engining. LOTS don't know what will happen to them after the work is done but they won't come back to First London. As of this evening, all Westbourne Park / Atlas Road buses still have First logos and legals, except DNH 39124 and DNH39121 which have white Tower Transit logos. DNH 39115 now has Tower Transit logos. More VNWs are losing their First logos and running logoless, presumably in preparation for application of the new logo. Whereas every 25 I saw today was still carrying "First Group PLC" legals. Seems to be a VERY gradual process! 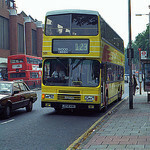 First First London East bus stripped of First logos? DN 33645 was running logoless today, and has new stickers showing "Tower Transit Operations Limited" as the legals. First London West logo removal gathering pace. DNH 39125 has had a shoddy logo removal job: looks like a dash of red paint with a big brush over the First logo - you can still see it! A few of the 25's VN's were running logoless today though I did observe one (and one only! Can't remember the fleet number....) with Tower Transit logos. Gotta say, the positioning of the front one on those VN's surprised me somewhat - right down low on the bumper.